Shutdown or no, the consolidated lawsuits facing the Federal Communications Commission (FCC) over its 2017 rules that wiped out net neutrality protections nationwide will go forward on Feb. 1, a three-judge panel in the D.C. Circuit ruled Thursday. So the motion to postpone was mostly procedural. That’s because the D.C. federal appeals court has previously ruled that denying such motions during a shutdown effectively constitute “express legal authorization” for the relevant agency work to continue under the Antideficiency Act, the law which prohibits the government from accepting “voluntary services” from federal workers during a shutdown (absent threat to life or property). 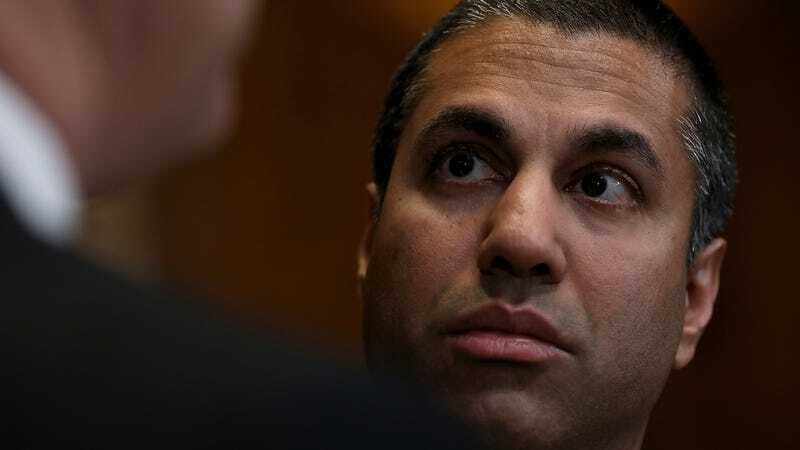 The suit against the FCC is brought by dozens of petitioners, including companies and organization such as the Mozilla Corporation, Public Knowledge, Free Press, the Open Technology Institute at New America, and 21 state attorneys general. At that time, the petitioners will explain aloud before a three-judge panel why they believe the net neutrality rollback will ultimately result in harm to consumers and small businesses. In turn, The FCC will defend its decision, with support from numerous intervenors; primarily trade groups that represent AT&T, Verizon, Comcast, and other major telecoms, which have for years fought to strip the commission of its authority to regulate internet providers against the predation and discrimination of users. Interestingly, a recent phone-tracking scandal that left some Washington lawmakers furious, and which involves nearly every major wireless carrier, could come into play. When the FCC rolled back its net neutrality rules, it also abdicated its authority to investigate and punish carriers over privacy violations involving data (as opposed to phone calls) by revoking its Title II classification under the Communications Act. When called for an “emergency briefing” by a House oversight committee this week, FCC Chairman Ajit Pai refused to appear; again, blaming the shutdown. Pai claims to have initiated an investigation into the matter roughly eight months ago. Potentially, he’ll try to punt the issue over to the Federal Trade Commission (FTC), which the FCC says is now responsible for all data-related carrier violations. Unfortunately, as we saw with the slew of Facebook scandals last year, the FTC is itself underfunded, understaffed, and otherwise completely outgunned when it comes to facing off against the nation’s largest and most powerful internet companies.